When precipitation approaches, the curtain appears to be more of a smooth, white sheet. The boundary where the precipitation meets the cloud base is by this stage almost overhead. On the ground, it is possible to see the rain approaching. Any trees, buildings or hills will become obscured by a shade of white as the rain moves through those areas. On the ocean or on a lake, the precipitation cascade can be observed obscuring the background with a distinct change in colour where the precipitation meets the ocean. By following the movement of this boundary where the cascade meets the ground, lake or ocean, you will be able to determine if and when the rain will strike your area. You will also be able to, with practice, determine where the rain is falling such as on nearby mountains. 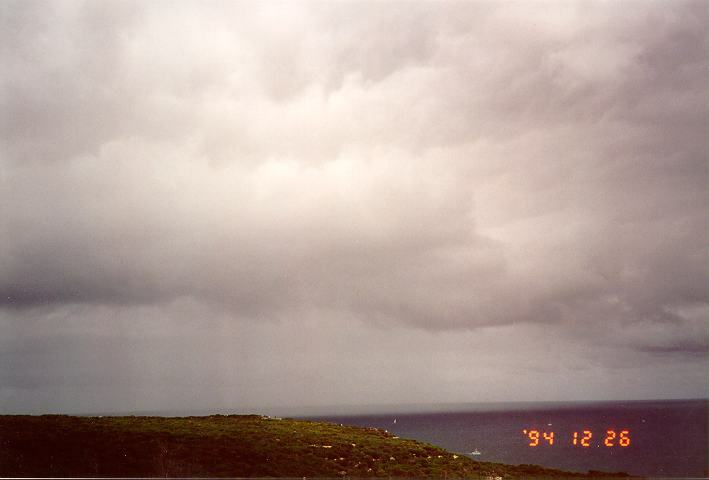 It is an advantage to be on an isolated hill with little or no obstructions to be able to observe precipitation in surrounding regions 50 or more kilometres away. Before the rain begins to fall, often drops of rain are observed. The drops of rain that fall often are an indication of the type of rainfall that is approaching. For instance, if there are medium to large drops of rain, rain to heavy rain may follow. If tiny drops of rain fall initially, then drizzle or showers are most probable. The size of the drops of rain can be observed on impact with surfaces such as the amount of spread on cement, the length of the drops when striking vertical surfaces especially windows, or how far they rebound when they hit surfaces such as metal or water. Drops of rain also appear larger and more frequent than normal on windscreens whilst driving against the rain. To observe if it is raining, signs to look out for are reduced visibility in the distance, rain falling when using a dark background to create contrast, or hearing rain falling on roves especially metal roves (corrugated iron). 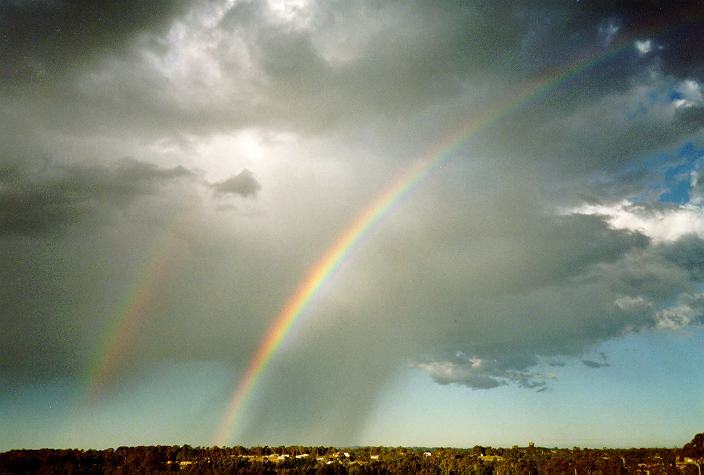 Rainbows are another method that can be used to observe if rain is falling. Occasionally, rain mixed with dust has its own distinct scent especially after a long hot day. 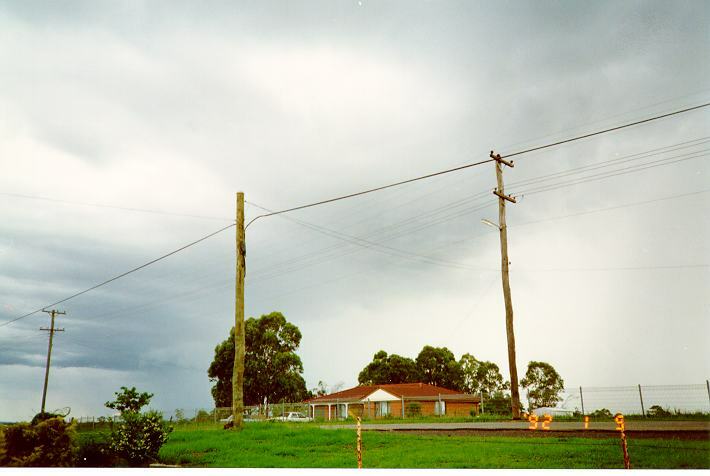 If heavy rain occurs suddenly, as is the case with many thunderstorms, it can be heard approaching from a few hundred metres away striking other house or shed roves. Rainfall (and the other forms of precipitation) are measured using what we call the rain gauge. Rain gauges are easy to erect and maintain. They are usually not very expensive to purchase. The graduations (or units of measurement) are in millimetres in the metric system or points of inches in the imperial system, both representing height of water collected. They work on a principal that a flat area of land will fill with the amount of water measured in the rain gauge. 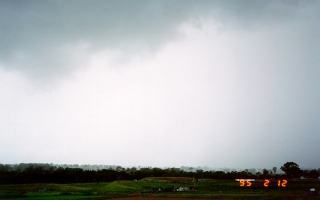 If you experience a thunderstorm that produces deep hail or live in an area where it snows, it is possible to estimate approximately the amount of precipitation it represents using a special technique. However, it is best to consult meteorological organisations in your country on measurements of the various forms of precipitation and the appropriate times to take measurements.